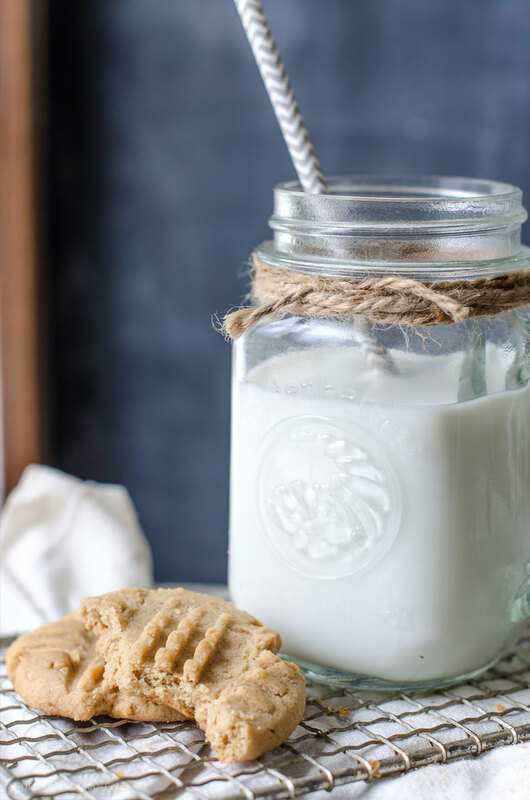 There are so many cookie recipes out there to find in magazines, cookbooks, and on our favorite blogs. 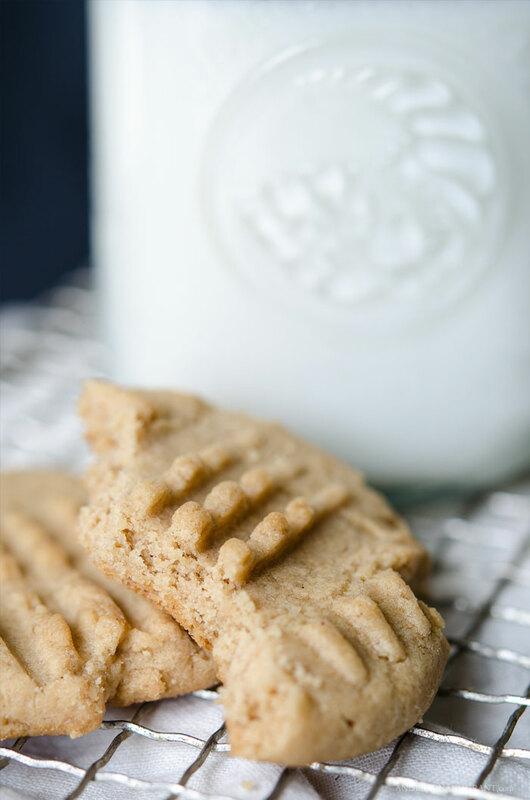 But as much as I love trying something new, we all need to have a few traditional cookie recipes at hand. 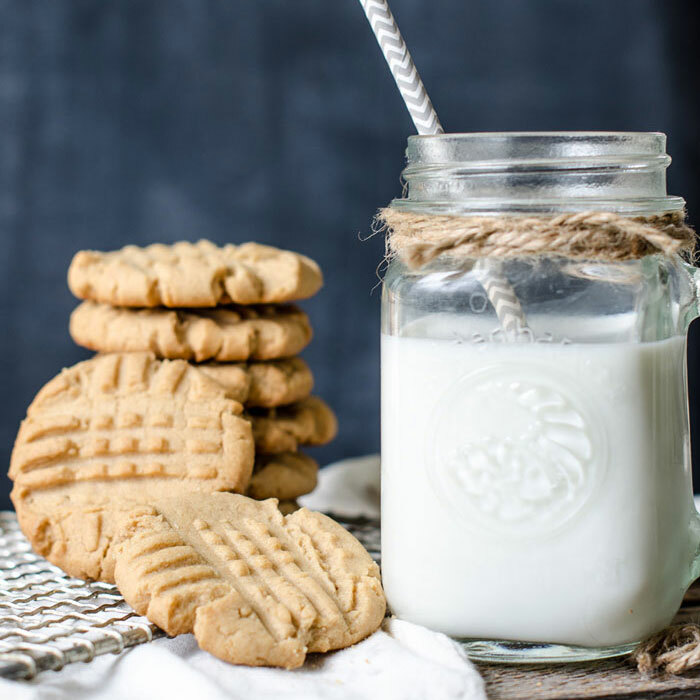 These are recipes that we know we can make successfully, we likely have all the ingredients in our cupboards on a regular basis, and the cookies are well-liked by each member of the family. 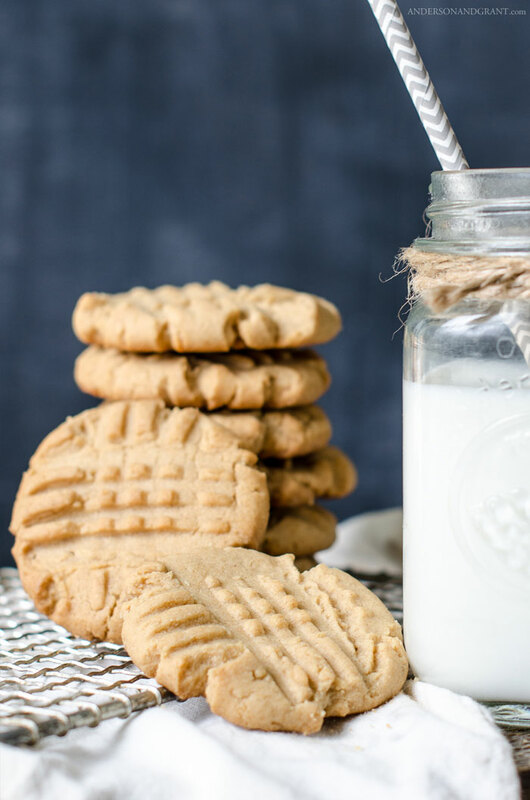 These crisscross peanut butter cookies are one of those recipes. My aunt shared the recipe with my mom years ago, and it has become one I turn to again and again. The quality and taste never disappoint. 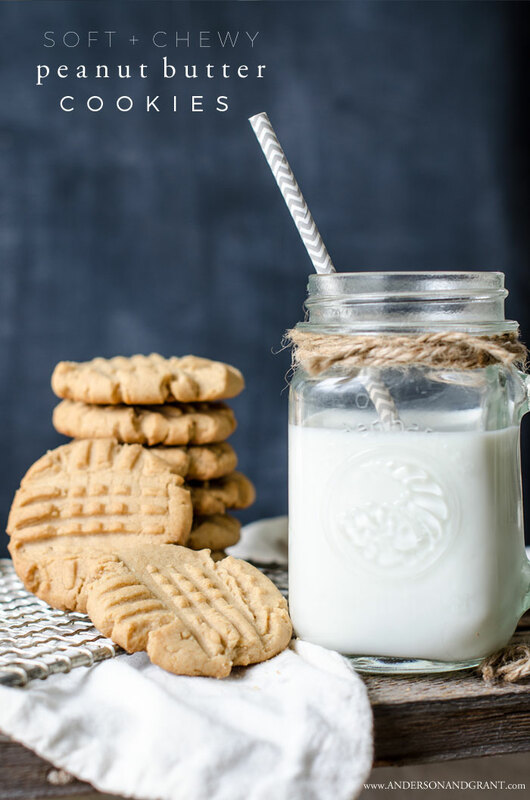 You likely already have the ingredients, you'll dirty just one bowl, and the cookies can be whipped up quickly for an afternoon snack or when you find out guests are coming over after dinner. As an added bonus, your house will smell amazing as they bake in the oven. Isn't that one of the best parts of making cookies? 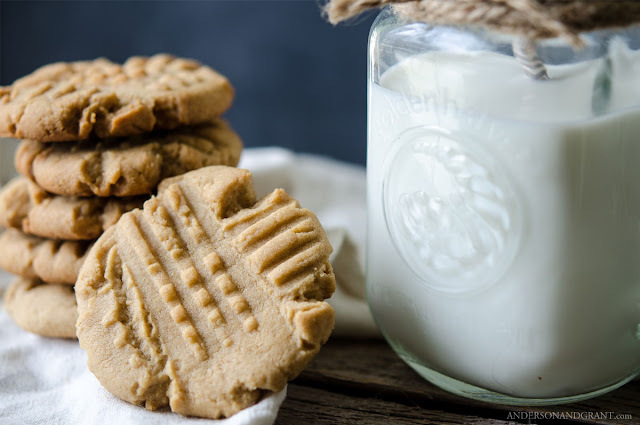 The final result once they've cooled on your counter is both soft and chewy....a perfect melt-in-your-mouth combination for a tasty cookie. Cut the butter into small cubes and put it into the bowl of an electric mixer. Cream the butter for two to three minutes. Then add the peanut butter and blend the two ingredients together. 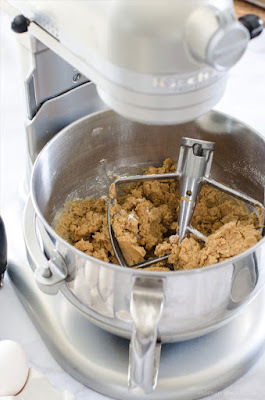 Add the brown sugar and granulated sugar to the creamy mixture and beat until fluffy (about two minutes). 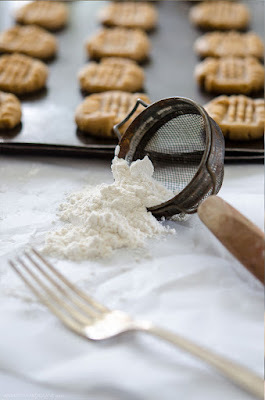 Gradually add in the flour and baking soda, and mix just until blended. Roll a about a tablespoon of dough into a ball. It will be slightly sticky. (I like to use a small ice cream scoop to measure out the dough so that my cookies end up a similar size.) Place the balls about two inches apart on a baking sheet. Using a fork, flatten the dough balls in a crisscross pattern. Bake in a preheated 350 degree oven for 10 to 12 minutes. The cookies are very soft when first being removed from the oven and will fall apart easily. 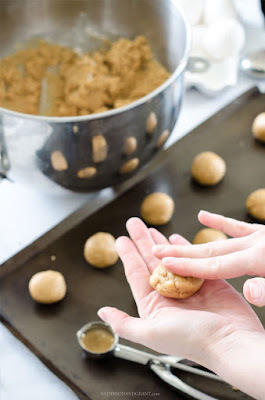 You'll need to cool them on the cookie sheet for one to two minutes, before removing the cookies to a wire rack. They can be stored in an airtight container for up to a week. But I doubt they'll last that long. so that it doesn't stick to the dough. Even with all the delicious, creative recipes out there, sometimes a simple recipe from the past is best. 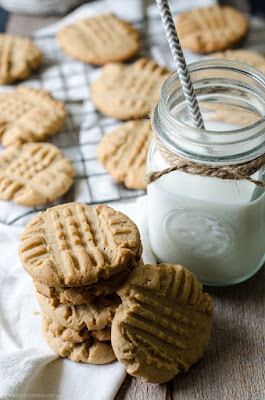 And who doesn't love peanut butter cookies?!?! Now, pour yourself a glass of milk and enjoy!